Mister Donut, the Japanese based donut chain, has started selling Pikachu donuts. Many of the images circulating online look fine. These, however, appear somewhat off. Here are what the donuts are supposed to look like, compared to the reality. Via Pokemon Memo, here are the “mistakes” that have been served to customers. 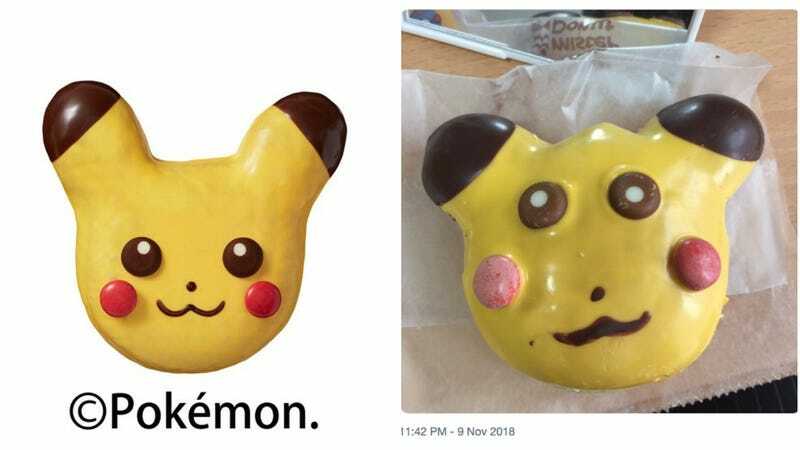 Of course, people are getting Pikachu donuts that do look like the cute character. Thank goodness for that!